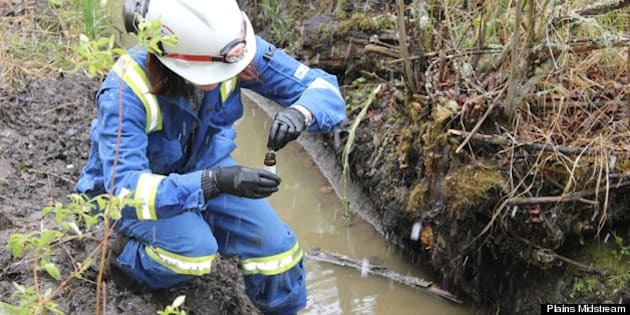 CALGARY - The Canadian wing of a U.S.-based pipeline company responsible for several large recent spills in Alberta is being audited and its future plans subject to a higher level of scrutiny. The Alberta Energy Regulator has told Plains Midstream the moves are in response to the company's failure to follow the province's safety regulations. "Plains Midstream Canada has failed to follow rules that are in place to ensure energy development in Alberta takes place in a safe and responsible manner," Jim Ellis, CEO of the regulator, said in a statement issued Thursday afternoon. "As a result, all of Plains Midstream Canada’s operations will be subject to additional regulatory scrutiny until we are satisfied it can operate in compliance with AER requirements." The regulator cited 19 deficiencies in the company's operations since 2011, including some it considered high risk. Plains Midstream already faces environmental charges for a 2011 spill of 4.5 million litres of oil near the community of Little Buffalo. Its pipes were also involved in large spills in 2012 into the Red Deer River and one earlier this year near Manning in northwest Alberta. The regulator says it will conduct a full audit of all the company's operations in Alberta. Any new plans from the company will be fully reviewed and must be approved by the regulatory board's head. "This action seriously restricts the ability of Plains Midstream Canada to obtain further approvals for operations in Alberta," Ellis' statement reads. "Until the company can demonstrate that it can operate within Alberta’s rules and requirements, every single interaction with the Alberta Energy Regulator will be subject to extra scrutiny while we conduct a full audit of its operations." Messages left with the company seeking comment were not immediately returned.